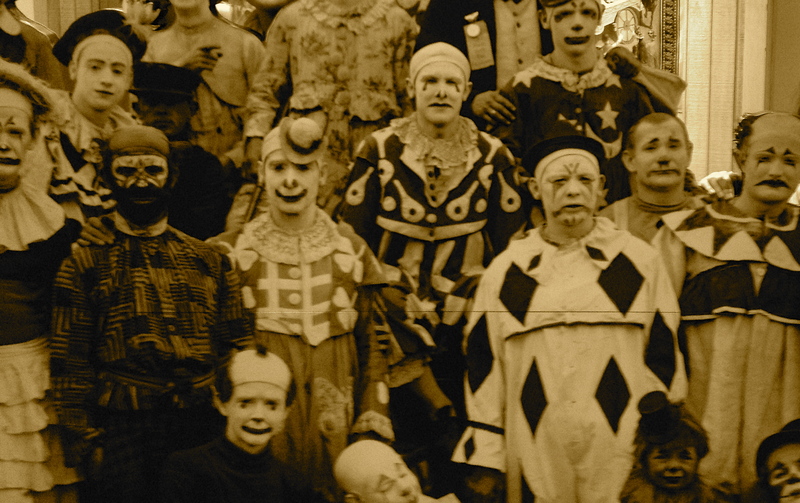 Do these Ringling Clowns look like Lord Grantham’s family when compared to your extended family? Or at least certain members of your clan? You know who these people are. You grew up with them. Or perhaps they came later, as in-laws or evil nieces and nephews. Then one day it occurred to you that most of them are idiots, addicts, or just plain deranged. The Buffer Zone is for that frightening epiphany. And every day thereafter. (Loudly) On the twelfth day of Christmas hope Santa brought to me dysfunction-free kin, better selective hearing, no brawls or food fights, a new alias, no surprise house guests, an unlisted number, a superb retort, (milk this line) one mooorre stiff drrrinnnkkkk……., (big breath) no bail-requests, comfort food, drama-free days, (bring it home) AND A BUFFER ZONE DMZ! This entry was posted in Uncategorized and tagged #12days, #book, #Christmas, #clowns, #crazy, #dysfunctional, #Epiphany, #family, #humor, #Ringling, #song by thebufferzoneday. Bookmark the permalink. Now that I think about it, I really don’t know anyone who loves clowns. Maybe they need to cut down on the accessorizing.